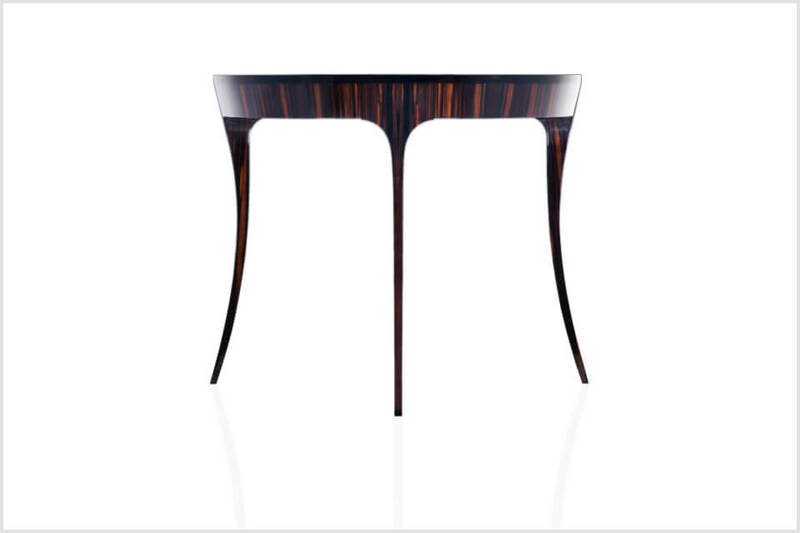 Luna is the epitome of gracefulness and sophistication. 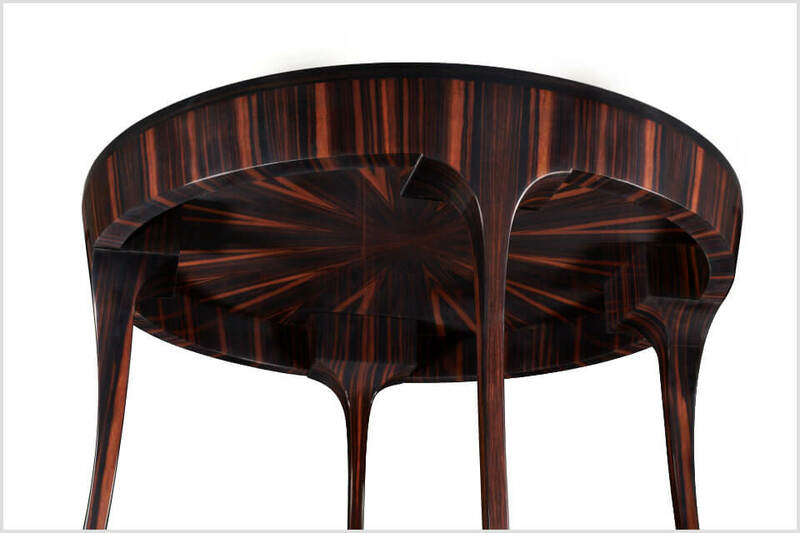 The eye moves upwards, caressing the length of the object’s finely curved legs, pausing to be captivated by the elegance of its profile, continuing on to be completely moved by the beauty that explodes throughout the top, as if lost in a mesmerizing dream. 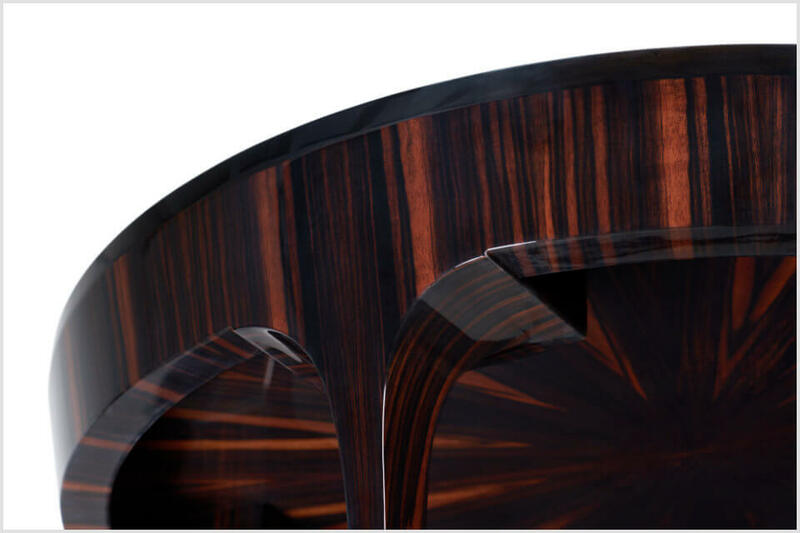 The piece comes alive through ArteNemus by marrying the noble materials with each unique nuance of the wood species’ colors and veneers. 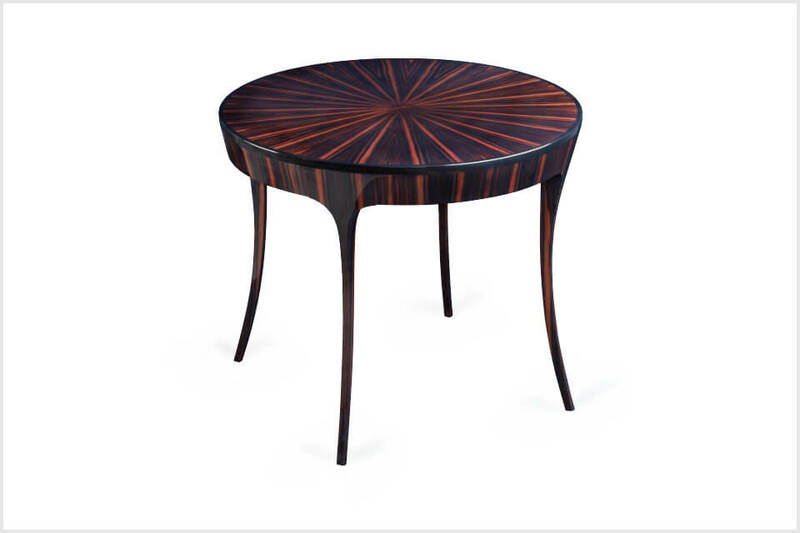 Luna Macassar Black is clothed in Macassar Ebony and African Ebony.